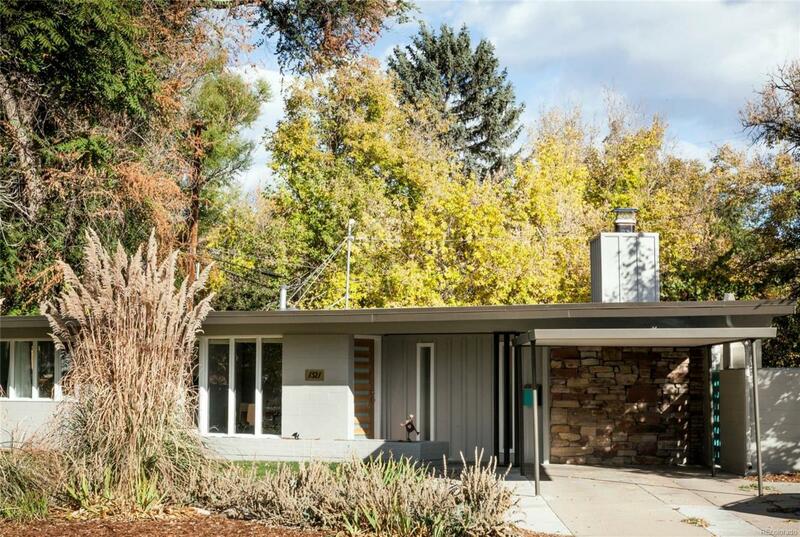 Arapahoe Acres Historical District Mid-Century 2 bed/1 bath home available. This home features all of the details you are looking for in mid-century design; deep overhangs, strong horizontal lines, full length windows, beamed ceiling, and an open plan kitchen/living area, as well as a family room with a modern gas fireplace, and a sun room overlooking the fully landscaped back yard. It also features a newer EPDM roof (with warranty). Offered by Birch Street Real Estate.